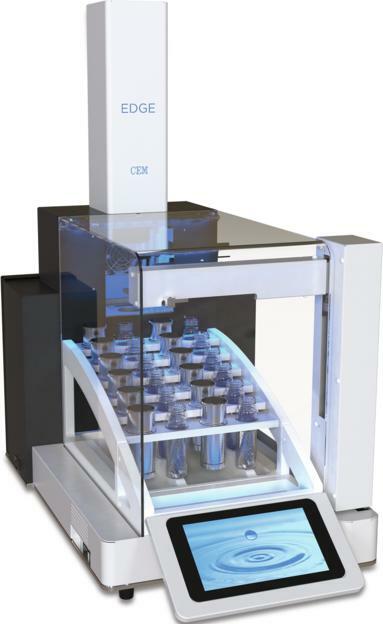 The EDGE Extraction System from CEM is a sequential system for the fast automated solvent extraction of up to 12 samples. 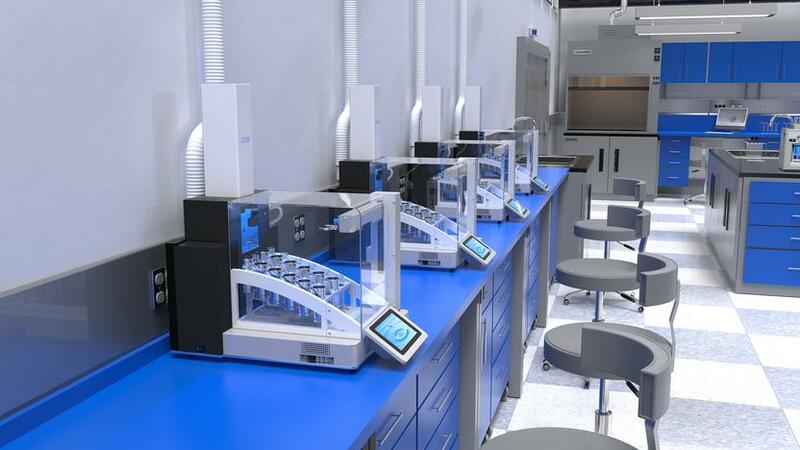 This allows different samples to be quickly extracted in just 5 minutes.The extractions in the EDGE are carried out under pressure and at elevated temperatures, which leads to a strong acceleration of the reaction kinetics. In addition to this faster desorption of the analytes from the matrix, heating and cooling of the sample is carried out by a special process in a few seconds. The accelerated solvent extraction with EDGE from CEM is considerably faster than Soxhlet, ultrasound, classical ASE, QuEChERS or other conventional extraction methods and requires much less solvent while at the same time requiring considerably less work. The Edge has a remarkably small footprint – about the size of an analytical balance. 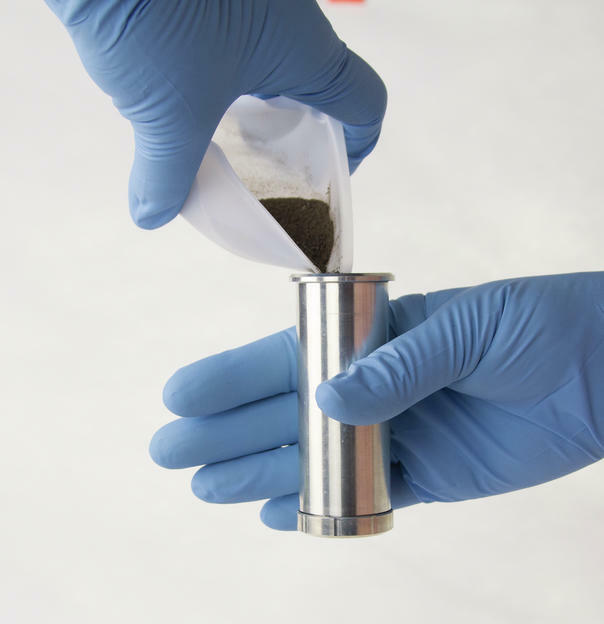 The extraction cell Q-Cup contains an easily replaceable porous Q-Disk on the bottom. The sample to be examined is filled into this Q-Cup and the Q-Cup is placed in the autosampler. The gripper arm transports the Q-Cup into the sample chamber and then the Q-Cup is automatically pressure-tight sealed. 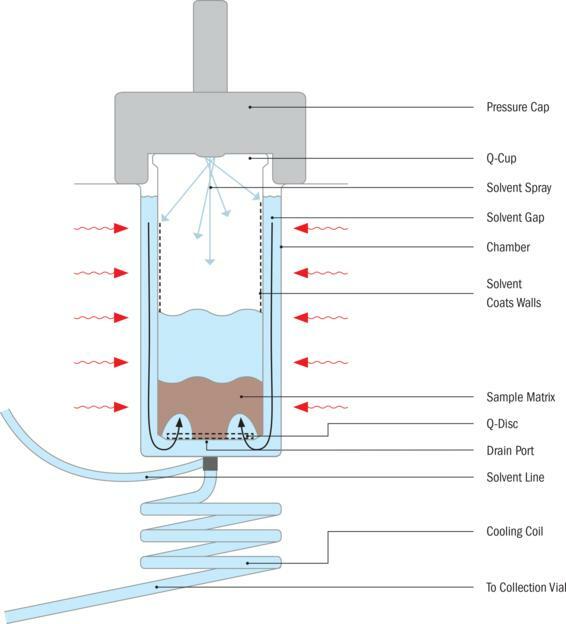 After addition of the solvent, the cell is heated to a maximum of elevated temperature at elevated pressure and kept under constant conditions for a few minutes to disperse the analytes out of the sample. 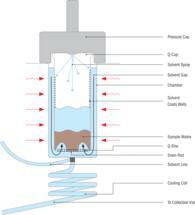 The solvent extract is automatically filtered by the Q-Cup Disc, cooled down and transferred into the sample glass.